Before you even begin to think about the fine details of the project, sit down with your landlord and discuss who will cover what costs. Have the terms put in writing to eliminate confusion. Then, establish a budget for the portion of the costs for which your company is responsible. Put it all down in writing to guide you through the process. If you'll be paying for a large portion of the build out and you have a long-term lease, it may make more sense to complete the project in stages. Think about whether or not you need the entire office finished at once or if it's possible to renovate more gradually over time. Take the time to think about the various teams and workers that will occupy the space and what types of offices they require. Often, it's best to provide a mix of closed and open office space to meet the needs of employees who require quiet and privacy and those whose jobs involve collaboration. A smart office plan includes areas and rooms where groups can easily meet. You will likely want at least one or two large conference rooms. Smaller seating areas can also be beneficial. As you plan the layout, pay attention to the location of the windows. It's best to have natural life in offices rather than conference rooms and break rooms, as it creates a more pleasant work environment and can reduce the cost of lighting the areas that will be used on a daily basis. Make sure the wiring schematics will include enough power outlets. In addition to requiring plugs for computers and office equipment, your employees will need to be able to recharge laptops and mobile devices. Consider installing multiple plugs in communal areas to create charging stations. As you plan the design of your office space, keep your brand image in mind. Think about what the space will say about your company. Do you need a sleek, modern space that speaks to your innovation? Or something more traditional that reflects your company’s rich history? 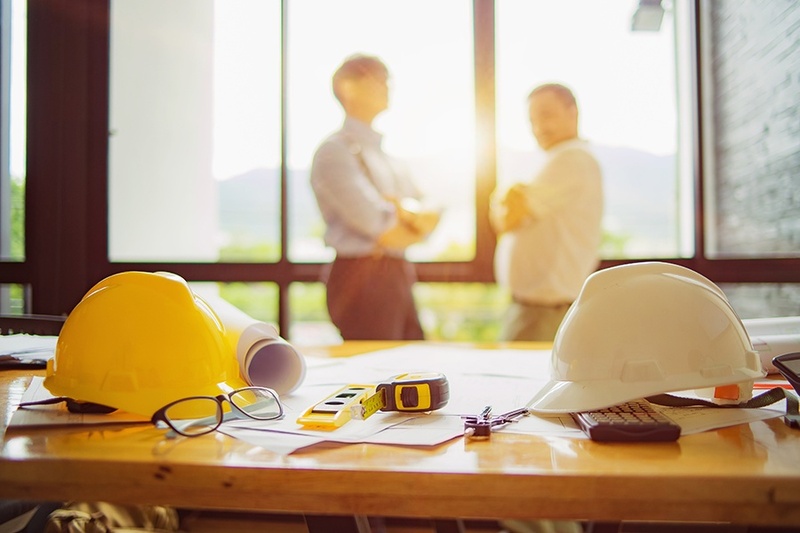 Once you have your plans in place, be sure to acquire multiple bids for the project, even if the landlord recommends or has a preferred contractor. When contractors know they are competing with one another, you're more likely to get competitive pricing. As you compare bids, remember not to just select the lowest. Also consider the reputation and experience of the contractors.